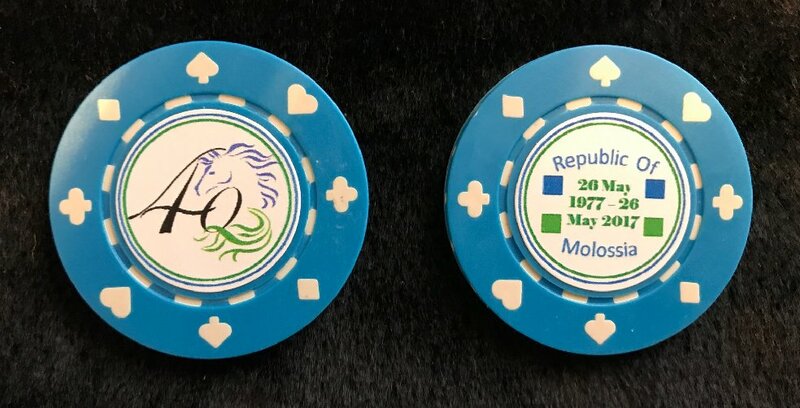 The Government of the Republic of Molossia is pleased to announce the release of two new symbols of our 40th Anniversary as a nation. 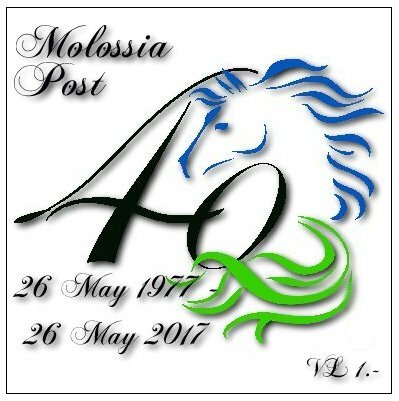 A stylized mustang - our National Animal - mane and tail blowing in the wind, is the emblem of this year's celebration, and this reflects on both this year's annual Founder's Day stamp as well as the 40th Anniversary coin. Both the coin and stamp also show the years our nation has been in existence, from 26 May 1977 I to 26 May 2017 XL. As we approach our fourth decade as a nation we are quite proud of these new symbols, like the mustang, strong and free and looking forward to a bright future!